Previously, we looked at the debate over the mechanism by which loans are nullified in the Shmita year. A similar debate exists with regard to Shmitat Karkaot. Rav Rimon presents this debate in his book "הלכה ממקורה: הלכות שביעית" on the page titled "הפקרת האדם או הפקעת המלך". Here he brings two poskim who are split over why fruits of the seventh year are considered ownerless and for all to take. The Beit Yosef states that the fruits only become ownerless when the owner fulfills the command to relinquish ownership. The Mabit, on the other hand, says that the fruits become ownerless automatically by virtue of the fact that they grew in the Shmitta Year. So one could certainly claim that these two questions, with regard to Shmitat Ksafim and Shimatat Karkaot respectively, are one and the same. The meta-question is whether the kedusha of Shmitta Year requires us to relinquish these claims on our property(loans and Shmitta fruit), or whether it nullifies them automatically and we are merely commanded to accept the results. On the other hand, one could argue that the two debates are not dependent on one another. Certainly, when looking at the psukim, the requirement of human involvement sounds more explicit for Shmitat Ksafim, when the lender is commanded “!שמוט”. Compare this to Shimta Fruit where it sounds like the arrival of the seventh year itself is what nullifies ownership. Following up on the last post, let’s look at some of the Nafka Minot of Rav Lichtenstein’s idea that, even according to the Afkata Demalka opinion, loans aren’t completely nullified until the lender forgives them. 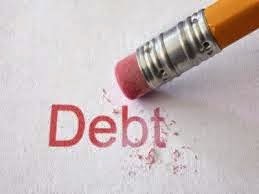 One nafka mina is how we understand the basic case in the Mishna where the lender forgives the loan but the borrower chooses to pay it back anyway. Why is this mishna a chiddush according to afkata demalka? The repayment of the loan is apparently a matana gmura, so why should it be asur? Rav Aharon's chiddush solves the problem: there is no chovat gavra to pay, but the Mishna teaches us that the loan still exists at some level. Rav Aharon's chiddush also helps us understand the Gemara on Gitin 37B where Rav says that if the borrower decides to pay back the loan and then changes his mind, he can be forced to pay. How is tying him up the debtor until he agrees to pay a valid matana? It’s Ones! Again, Rav Aharon's answer helps us. It's not really a matana. Since the debt remains and the borrower's statement of אף על פי כן is only him forgoing his ptur, so maybe it still works under ones. This chiddush also bears on how we understand Shviit 10 mishna 9 that states that our Sages are happy with one who repays his loan despite the passage of the Shmitta Year. המחזיר חוב בשביעית - רוח חכמים נוחה הימנו. The Rambam says that they even like his initial desire to pay back the loan. This is apparently because the Afkata Demalka didn’t eliminate the loan, it only froze it. The Rash, on the other hand, says that they only approve of his repayment of the loan after the lender was mashmit. This may be because, when the lender was mashmit, the Afkata Demalka disappeared and the debt can now be paid. Rav Lichtenstein points out that one could disagree with him based on the Sefer Hatrumut that a lender must give back a shtar chov for an unpaid loan after the passage of the shmita year. If the chov still exists and was merely frozen, why should the lender have to return the shtar chov? 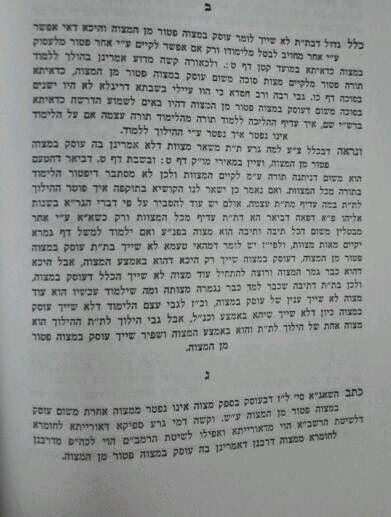 Ultimately, Rav Aharon rejects this, arguing that a shtar chov corresponds to shiabud nechasim, not the loan itself. Even if the loans still exists at some level, there is certainly no more shiabud nechasim so the shtar chov must be returned. 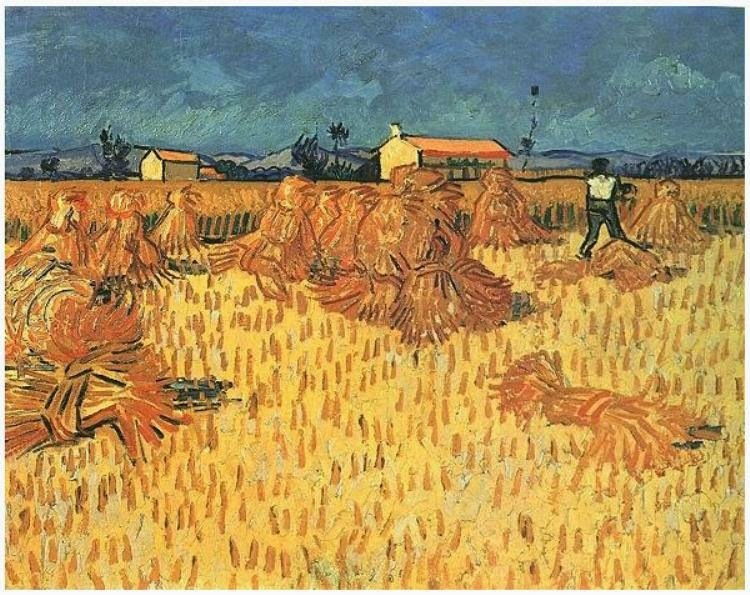 Every seventh year is a Shmitah year, when the land is allowed to lie fallow and any fruit that does grow is considered ownerless and free for the taking(Shmitat Karkaot), and when loans are forgiven(Shmitat Ksafim). 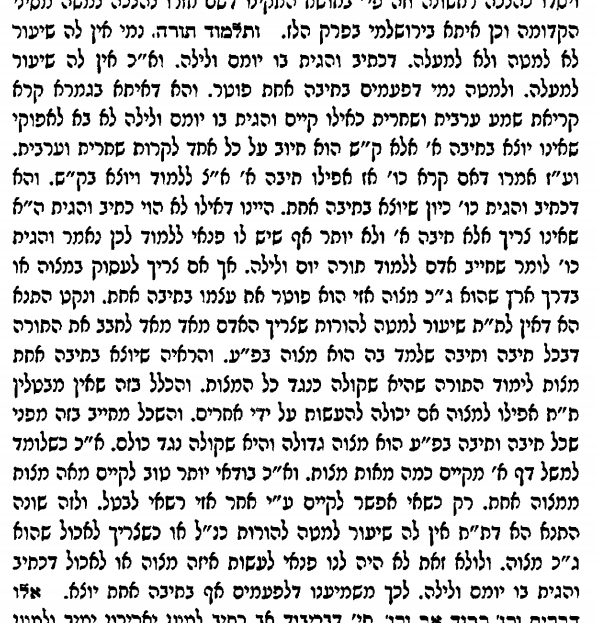 In his paper "מצוות שמיטת כספים" in מנחת אביב, Rav Aharon describes the well known chakira on Shmitat Ksafim. With the very concise wording of Torah commandment commandment to forgive loans, various questions arise: When is the loan actually cancelled? Does the loan still exist if one doesn't forgive it? Rav Aharon cites three opinions among the Rishonim on the topic. The Yereim says that the loan only ceases to exist once the lender explicitly forgives it. The Ohr Zaruah, Rambam, and Ramban, on the other hand, say that the loan is cancelled at the end of the Shmitta year, regardless of the will of the lender. The Ittur's opinion essentially combines these previous two ideas. During Shmitta year, a lender is commanded to forgive the loan and only once he does is it cancelled. At end of year, the Torah forgives any remaining loans regardless. Rav Aharon ultimately argues(based on the Mishna in Shviit 10:8 and Gamara in Gittin 37B) that, even according to the opinion that the loan is automatically nullified, it is really more frozen than cancelled and still remains intact on some level. Only once the lender fulfills the commandment and verbally forgives the loan does it disappear entirely. My Brother-in-Law Elimelech was kind enough to copy the relevant page in Rav Scheinberg's Mishmeret Chaim that I mentioned last time. Here, we see his starting point is the Gemara in Succa: Why is one who is walking to learn Torah patur, while one who is already learning isn’t? Rav Scheinberg bases his chiddush about the small granularity of the mitzvah of Talmud Torah on the Vilna Gaon(שנות אליהו, פאה). The Gaon wants to explain why one stops learning Torah to do a מצוה שאי אפשר על ידי אחרים, despite the fact that העוסק במצוה פטור מן המצוה doesn’t apply to Torah learning. He explains that it’s a question of which mitzvah is greater. Torah learning, of which every letter is a separate mitzvah, is the greater mitzva and therefore takes precedence. Rav Scheinberg takes this idea of one mitzvah per letter and applies it to the other side of the equation. Why doesn’t העוסק במצוה פטור מן המצוה apply to Torah learning when it does apply to walking to learn Torah? Because the small granularity of the mitzva means that you're not really in the middle of a mitzva and therefore not patur(compare with R. Lichtenstein's answer to this question, here). This extension of the Vilna Gaon’s principal is a chiddush in its own right, so it’s not surprising that Rav Lichtenstein quotes the Vilna Gaon(to strengthen the question of why העוסק במצוה פטור מן המצוה shouldn’t apply to Torah Learning when it applies to all the other mitzvoth) without drawing the same conclusion. It's informative to compare the understanding of the Gaon to that of Rav Lichtenstein. The Vilna Gaon explains that one stops learning Torah for a מצוה שאי אפשר על ידי אחרים, not due to העוסק במצוה פטור מן המצוה but because of another principal where we compare the relative weights of the two mitzvas in question and choose the more important one. Rav Aharon, on the other hand, explained that this case is part of the general rule of העוסק במצוה פטור מן המצוה. Rav Aharon’s springboard for his paper on העוסק בתורה פטור מן המצוה is the Rambam אישות טו:ב. 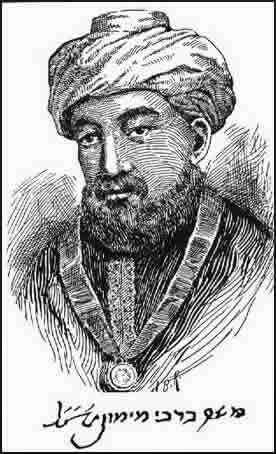 The Rambam there applies העוסק במצוה פטור מן המצוה to Torah Learning. האיש, מצווה על פרייה ורבייה; אבל לא האישה. ומאימתיי יתחייב האיש במצוה זו, מבן שש עשרה שנה או מבן שבע עשרה שנה. וכיון שעברו עשרים שנה ולא נשא אישה--הרי זה עובר, ומבטל מצות עשה; ואם היה עוסק בתורה, וטרוד בה, והיה מתיירא מלישא אישה, כדי שלא יטרח במזונות וייבטל מן התורה--הרי זה מותר להתאחר: שהעוסק במצוה, פטור מן המצוה; וכל שכן, בתלמוד תורה. This Rambam is problematic because it contradicts other quotes from the Rambam which seem to indicate that העוסק במצוה פטור מן המצוה doesn't apply to the mitzva of learning torah. For instance, in Hilchot Kriat Shema(ב:ה) and Tefila(ו:ח) the Rambam implies that one should stop learning Torah in order to perform a mitzvah deoraita, such as Kriyat Shema. היה עוסק בתלמוד תורה, והגיע זמן קרית שמע--פוסק וקורא; ומברך לפניה, ולאחריה. היה עוסק בצורכי רבים--לא יפסיק, אלא יגמור עסקיהן; ויקרא, אם נשאר עת לקרות. מי שהיה עוסק בתלמוד תורה, והגיע זמן התפילה--פוסק ומתפלל; ואם הייתה תורתו אומנותו ואינו עושה מלאכה כלל, והיה עוסק בתורה בשעת תפילה--אינו פוסק, שמצות תלמוד תורה גדולה ממצות תפילה. וכל העוסק בצורכי רבים, כעוסק בדברי תורה. Along the same lines, we have the Rambam in Talmud Torah(ג:ג-ד) which says that one must stop learning in order to do a mitzvah, unless it can be done by others. אין לך מצוה בכל המצוות כולן שהיא שקולה כנגד תלמוד תורה, אלא תלמוד תורה כנגד כל המצוות כולן--שהתלמוד מביא לידי מעשה. לפיכך התלמוד קודם למעשה, בכל מקום: [ד] היה לפניו עשיית מצוה ותלמוד תורה--אם אפשר למצוה להיעשות על ידי אחרים, לא יפסיק תלמודו; ואם לאו, יעשה המצוה ויחזור לתורתו. 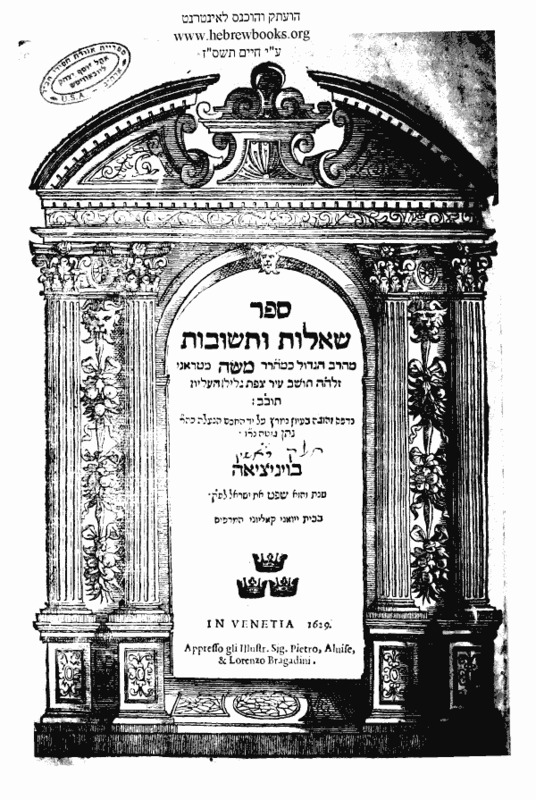 Finally, Rav Aharon also brings another problematic Rambam, this one from Megilla(א:א). קריאת המגילה בזמנה, מצות עשה מדברי סופרים. והדברים ידועים שהיא תקנת הנביאים. 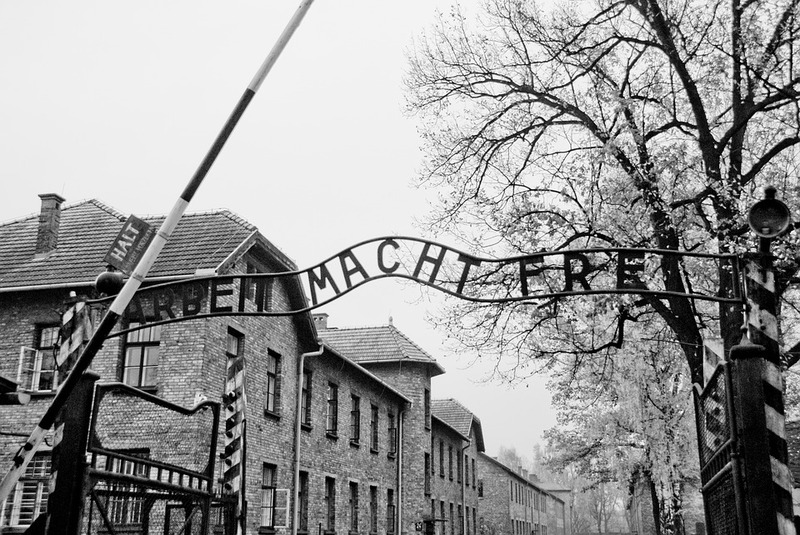 והכל חייבים בקריאתה: אנשים, ונשים, וגרים, ועבדים משוחררים. ומחנכים את הקטנים לקרותה. ואפילו כהנים בעבודתן, מבטלין עבודתן ובאין לשמוע מקרא מגילה, וכן מבטלים תלמוד תורה לשמוע מקרא מגילה; קל וחומר לשאר מצוות של תורה, שכולן נדחין מפני מקרא מגילה. ואין לך דבר שנדחה מקרא מגילה מפניו, חוץ ממת מצוה שאין לו קוברין; שהפוגע בו – קוברו תחילה, ואחר כך קורא. What is the nature of the Kal Vachomer here? How can we learn from the fact that we stop learning Torah to hear Megilla that the same applies to other mitzvot? Torah learning must always be stopped to do a mitzvah while other mitzvoth get a break thanks to העוסק במצוה פטור מן המצוה so the Kal Vachomer seems invalid. The Rambam’s kal vachomer in Megilla now makes sense since העוסק במצוה פטור מן המצוה does, at the most basic level, apply to Talmud Torah. As long as we're discussing the opinions of various acharonim about העוסק במצוה פטור מן המצוה as applied to Talmud Torah, I'll just add Rav Pinchas Scheinberg's explanation. My brother-in-law Elimelech said that he writes in his book Mishmeret Chaim that העוסק במצוה does apply to Torah Learning, at a fundamental level, but that there's a technical reason why one must stop learning to do a mitzva, in practice. What is the unit of Torah Learning? Every word you learn is considered a mitzva, such that, once you finish the current word, you are not longer involved in the mitzva and therefore your ptur from being עושק במצוה is over. Presumably this explanation isn't coming to explain the textural difficulties in the Rambam. Also, it seems that one could argue against the assumption that each word is a separate mitzva. That said, I haven't seen this opinion in the text yet, so it may be that I'm mis-characterizing it.